Powder coated steel body and a choice of wood effect shaded doors. Boasts both strength and durability. A choice of light oak, medium oak or beach finish doors. Fitted with soft close hinges. Ideal for offices, leisure centres and public spaces. A variety of doors available. 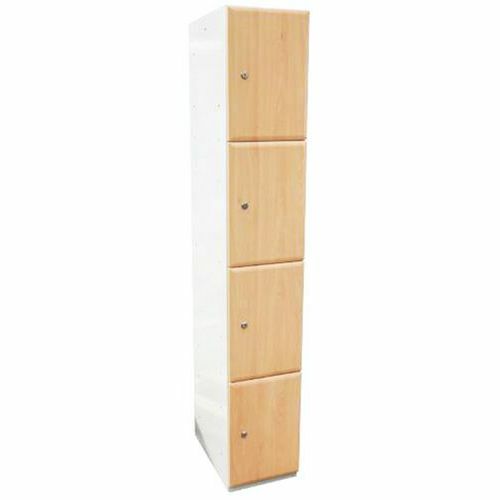 For a stylish finish add end panels to your lockers (sold separately). 4 door locker with powder coated steel body and wood effect doors.